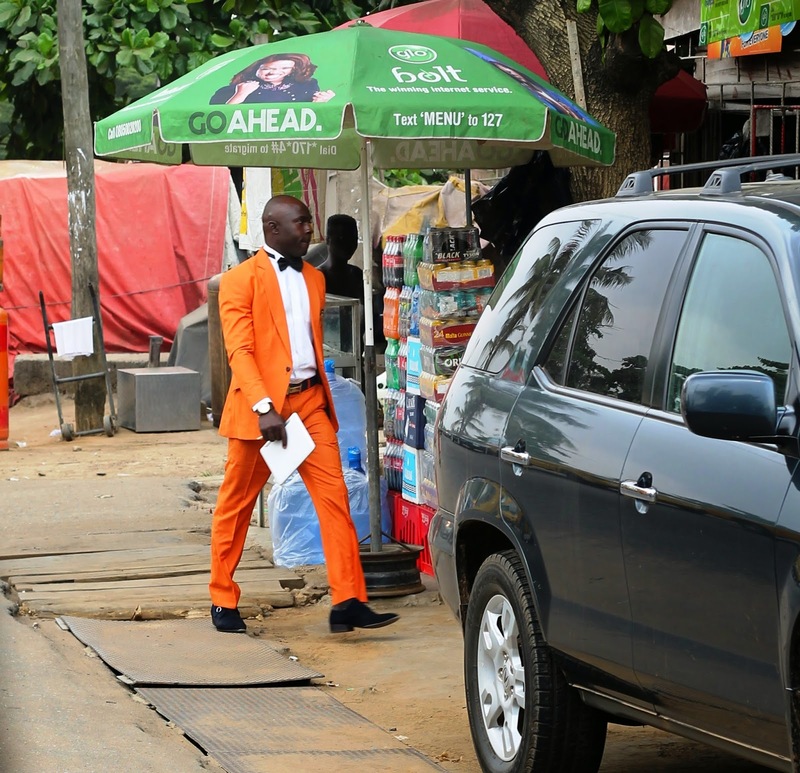 LAGOS STREET STYLE: STREET, Actually. On Buzzfeed's Facebook page, I saw this comment from a young lady called Ms. Jaja...that the photos on this blog are of only celebrities and not actual street style. Anyway, it made me remember this photo from a few Sundays ago. The man was on the streets of Magodo G.R.A., I'll hazard a guess he was just out of church. So I whipped out my little Canon. Because a dark-skinned brother in a bright orange suit is a gift. And because I take pictures of regular people on the street. Actually. This is ACTUALLY cool. Not sure if I can let bae wear this but I like it.